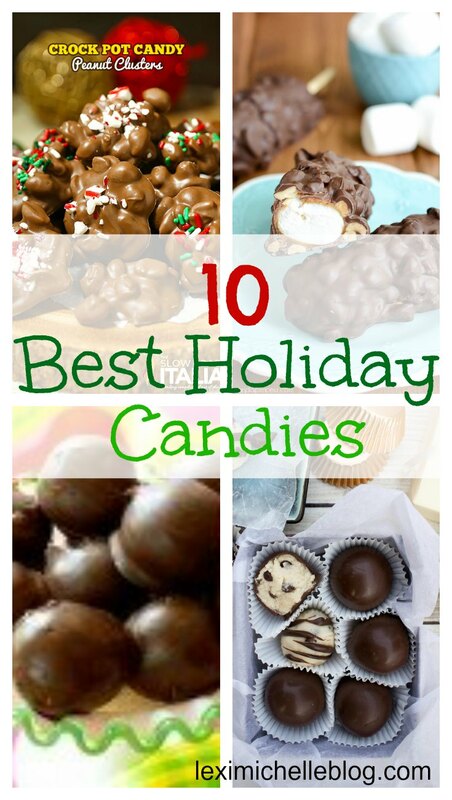 Check out these 10 delicious candies I found below! I love this! They list 3 different recipes (2 classic buttercreams & one with cream cheese!) 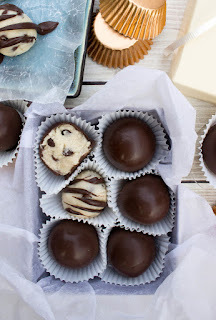 PLUS, they tell you how to add flavors to create different variations, like raspberry buttercream, etc. Obviously, I love buttercreams. So of course, I needed to include another variation. 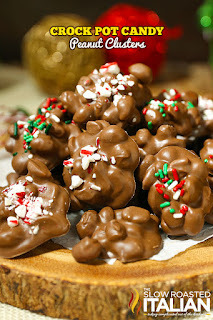 These look & sound delicious! This will be the last of the buttercreams, I promise! But how delicious does this sound? 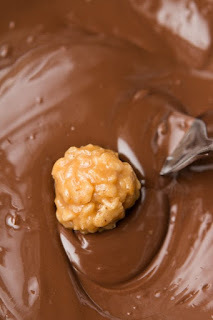 Most people do the standard chocolate truffles, so I am all for this "different" type of truffle! I love scotcheroos! They are one of my favorites. 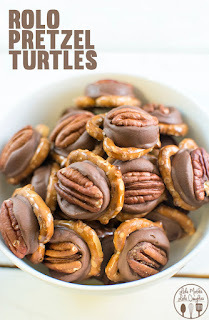 I love this idea of making them bite-sized! Perfect for holiday get togethers! 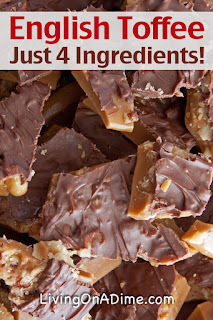 Not only is this toffee recipe only 4 ingredients, but it also does NOT require a candy thermometer. Definite winner! 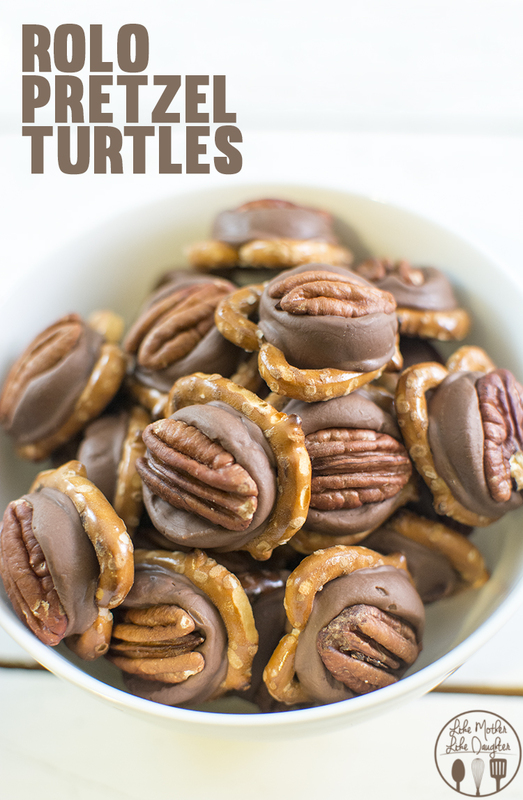 Chocolate turtles remind me a lot of Christmas, so they had to make the list! 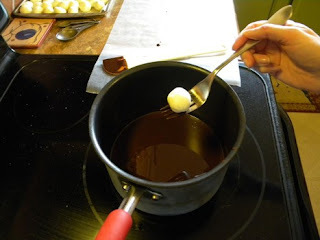 This recipe looks way too easy too, which is always a plus! 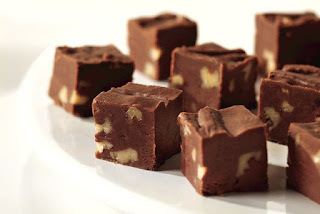 This is my personal go-to recipe for fudge. It is so quick & tastes great every time! 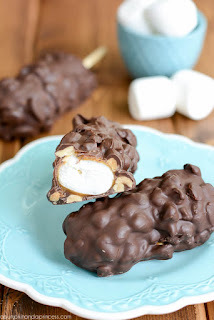 Basically, bite-sized rocky road candy--how perfect! I hope you all enjoyed this post! These candies, in my opinion, are a little different from the typical holiday treats. 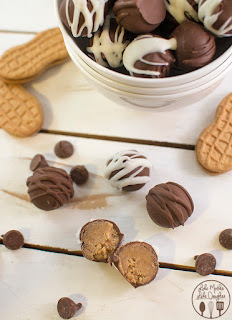 I normally see a ton of fudge, but I'm loving the variety I've come across lately, I will definitely be making most, if not all, of these in the next couple weeks!